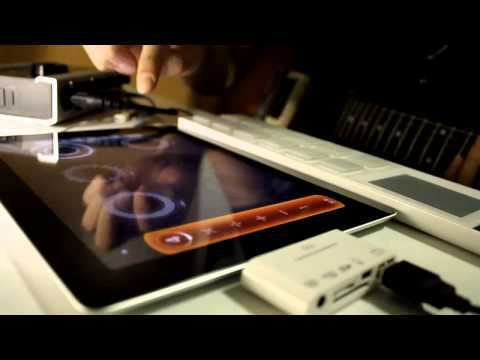 Audiobus is interesting because it turns the iPhone, iPad, iPad Mini, or iPod Touch into a real recording studio — “real” in the sense that you can connect instruments, effects, and recording software. That’s whythe app ($10, iOS), which launched last week, is known as the “missing cable” between iOS music apps. The current version of Audiobus does not actually let you route audio from an app on one iOS device to an app on another iOS device, as its developers had originally hoped it would, and as Apple Garageband does, but Audiobus works great on one device. what is the adepter on the ipad ? thanks !